HomeConditions & Symptoms FAQWhat are Food Sensitivities? If you have a food sensitivity or intolerance, this does not mean you are allergic to food, but that you experience gastrointestinal or other symptoms when you eat it. 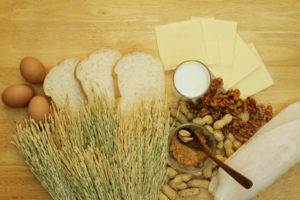 A true food allergy activates your immune system, causing a histamine response and giving you the symptoms of an allergic reaction, but food intolerance does not. Identifying food intolerances isn’t easy. Symptoms of food intolerance can be subtle and hard to single out. They also tend to come on more slowly, and much later, than allergic reactions, making identifying them more difficult. You must keep a meticulous record of your diet and symptoms. They can include bloating, mood changes, flatulence, mood changes, irritable bowel, headaches and migraines.